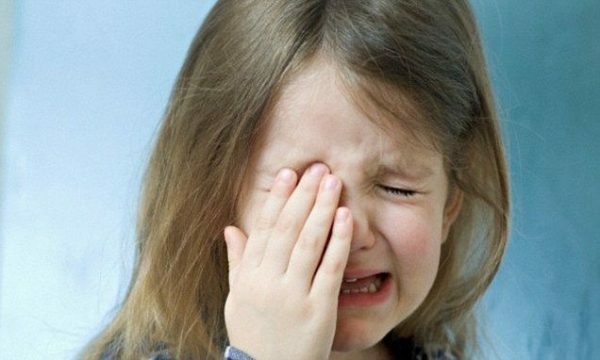 Delivering a smack to your child: cruelty or discipline? To smack or not to smack? The debate rages on. Max Pemberton, a journalist and NHS psychiatrist, has caused a bit of a stir. He claimed that smacking doesn’t cause deep-seated psychological damage to children. The issue was also aired on the TV show Good Morning Britain, on Tuesday 15th August. ‘Parenting Guru’ Sue Atkins and pro-smacker Katie Ivens both argued their cases, amidst some input from Jeremy Kyle (read more about the debate here). In the wake of these opposing media views, I’d like to invite Dr Pemberton and Ms Ivens to shadow me on a working day. A working day where the effects of child violence, often verbally disguised as discipline, are all too poignantly seen. In a few cases, with tragic consequences. Currently, smacking a child is legal in the UK as long as it doesn’t result in visible injury, but some members of the Welsh government and Scottish Parliament are lobbying for change. In December 2015, Ireland removed the ‘reasonable punishment’ exception and made smacking illegal. In theory, many would agree that the occasional controlled smack, carried out by a loving parent, does not harm kids in the long term. Imagine a situation where your toddler suddenly runs into a busy road. There’s no time call him back. Instinct ensures that you grab him, often roughly, by the nearest part of his body to prevent a tragedy. This is necessary manhandling, fuelled by adrenaline. Most of us have done this and followed it up with a hug of relief, thankful our child is safe. When a smack follows, rather than a hug of relief, what is it really about? Is it to teach? Is it an outward expression of parental rage, a venting of feelings of failure for taking the eye off the ball so to speak? Is it perhaps an asserting of adult control over a smaller individual? Is smacking for the good of the child, or to soothe the bruised adult ego? In spite of this argument, there may be a case for smacking, but consider this. If all parents’ had adequate ego control, positive coping strategies and good emotional regulation, perhaps controlled smacking might be acceptable on some occasions. The hard truth is, the abused children we clinicians meet up and down the country have never experienced a controlled smack in an environment of care. The reality is that many children are physically abused daily under the pretence of smacking and good discipline. When a parent loses control and physically chastises a child (which is often how smacking happens), it is often explained as disciplining an out-of-control child. The situation is often that the parent has snapped, has in the moment lost parenting skills, and has instead reacted physically to the child’s behaviour. Smacking would be okay, perhaps, if all adults could remain rational, calm and in control of their emotional regulation in times of stress. The huge number of physical abuse cases show that many parents have neither the emotional resilience or practical skills to manage their children’s difficult behaviour and resort instead to physical punishment. A smack in the hands of an angry and out of control adult can escalate into extreme violence. This is often under the misguided notion of discipline. Physical abuse is one of the primary causes of both attachment difficulties in children, and more enduring mental health conditions. This is a primary reason why smacking is not acceptable. Smacking is the thin end of the wedge. Written by Dr Chrissie Tizzard, Chartered Consultant Psychologist, PsychD, BSc, MSc, C.Psychol, C.Sci, AFBPS. Dr Tizzard is the Clinical Director of Christine Tizzard Psychology (ctpsy.co.uk).